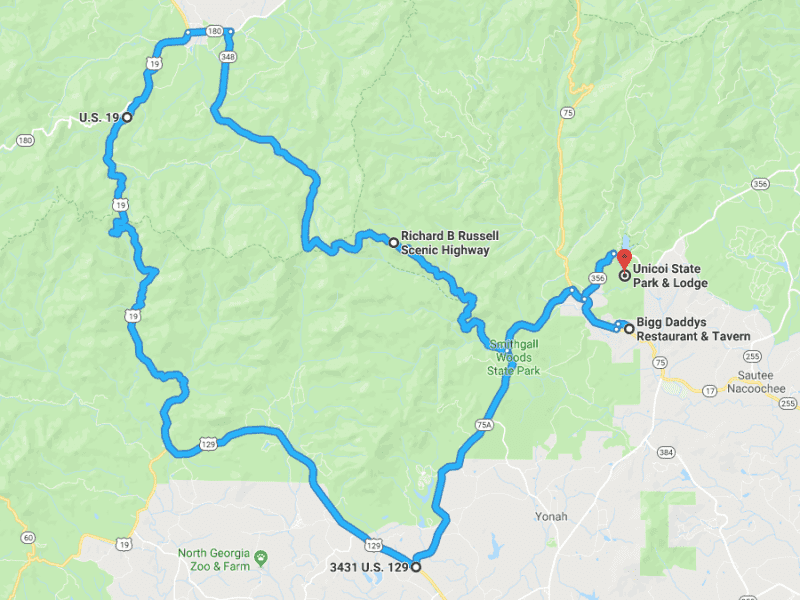 We will be taking my personal favorite 2 laned, banked roadway US-19 north through Vogel State Park. From there we'll loop our way back around bringing the group back to Helen on 348! A beautiful mountain road with twists and breathtaking views. We'll stop for lunch at Big Daddy's in Helen before making our way back to Unicoi lodge.